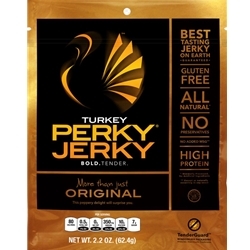 Perky Jerky More Than Just Original Turkey Jerky has hints of sweetness with cracked pepper. 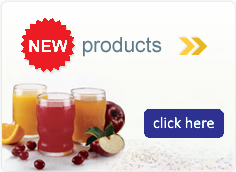 A delicious gluten free snack with 10 grams of protein for easy on the go snacking. Ingredients: turkey breast, reduced sodium gluten free soy sauce (water, soybeans, salt, alcohol), brown sugar, lemon juice, garlic powder, black pepper.